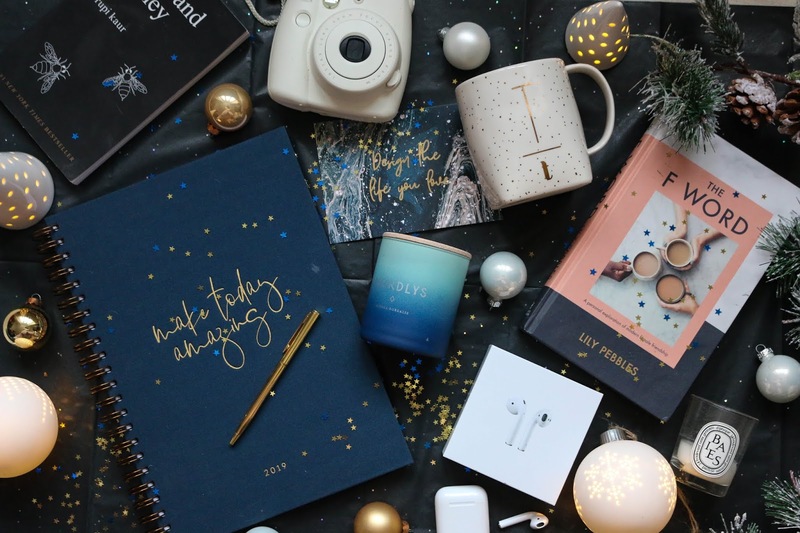 are you ready for this year’s first gift guide? I surely am and I look forward to creating them all year round. it’s not only to make Christmas shopping easier, but it also helps me get inspired. it makes me feel so festive and I really hope you find them helpful or at least visually pleasing. lifestyle gifts are beautiful to gift and receive as well and there are so many items which fall under that category. 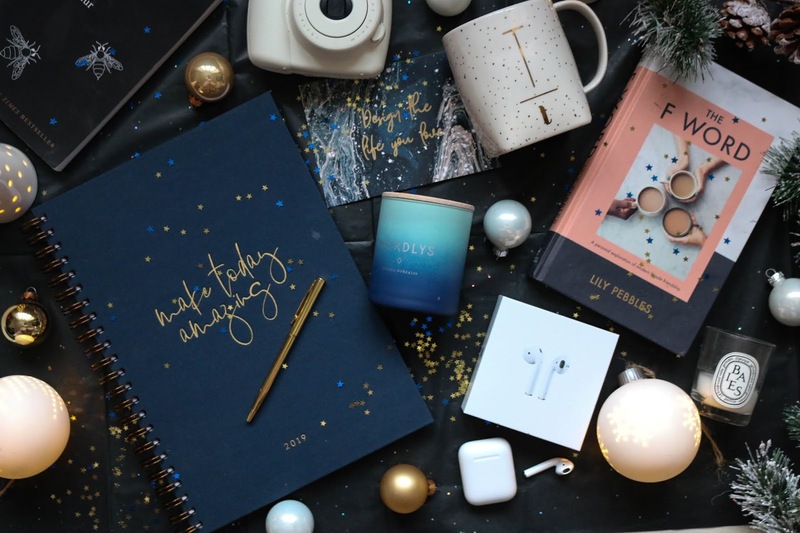 from stationery to tech, candles, and interior items, it can all make the perfect gift and lifestyle items do fit every budget for sure. 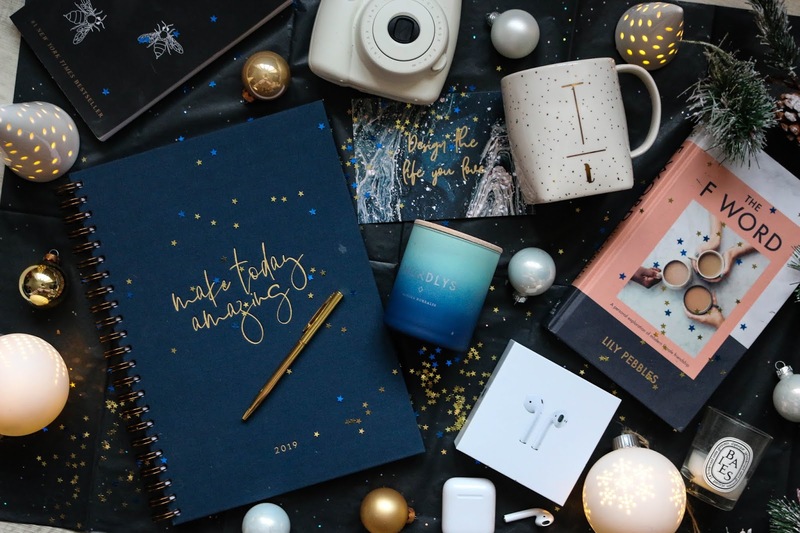 one very thoughtful gift for anyone who loves planning and scheduling in an actual paper planner is a new planner for 2019. I need a planner to organize and keep track of my life. there are many different options and designs out there but this huge one from jo & judy. it has a ring back and offers all the space and pages for me to schedule and plan properly. another gift I love giving is books. whilst I find fictionary quite hard to buy when I’m not 100% sure of peoples taste and favourite genre, lifestyle books are perfect to gift. one book I absolutely loved and would like to give to anyone is milk & honey by rupi kaur. if you have not heard of it; its a poetry book and its so touching and beautiful and my favourite of the ones she has released. another book that would be great to give, especially to a friend, is the f word by lily pebbles. its a book all about friendship and even though I expected more from it, its a very light and easy read which makes you very thankful for the friends you have. luxury candles are something beautiful to me and even though it can be really painful to buy them, they make a great gift. diptyque is one of the best and most expensive brands out there and their candles are just amazing. they release festive candles every year and already have their three limited scents available and I will probably get myself some as well. if you want to start with a very classic scent when it comes to diptyque, maybe start with baies. another candle brand I have been loving recently and have discovered this year is scandinavisk. their candles are all scandi inspired and come in the most beautiful containers. nordlys is a very fresh scent inspired by the northern lights. is there anything better than northern lights around Christmas? even though I’m not really good at gifting tech items, there are a few things that would make amazing gifts. if you need to buy for an apple user, airpods are where it’s at. they are life changing especially if you use your headphones daily. also, I’m still not over polaroid cameras. they are just so fun. what about you? 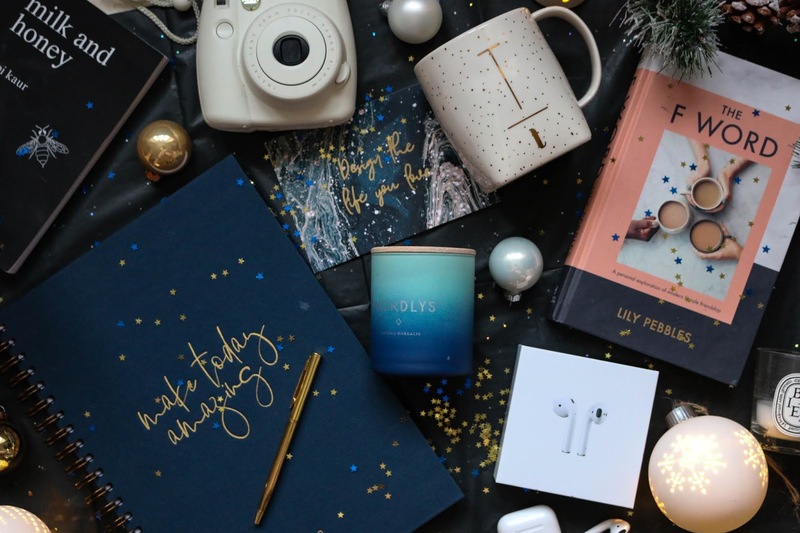 is there anything on your Christmas list lifestyle wise? let me know.